Eleyne-Mari has made it her mission to promote awareness in color healing. As the Founder of National Color Therapy Month, March has become a time to celebrate ways in which people are using color in their everyday lives. Who Declared March National Color Therapy Month? My motto is: “Change your Colors…and you change your World!” In 2011, I created National Color Therapy Month because my personal mission is to help people find their light and joy through color. That’s why I launched the Aura House School of Color and Light in 2003 and then Color Healing Radio in 2009. 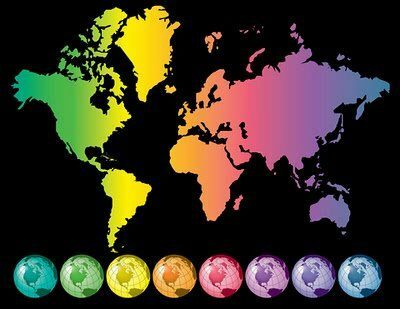 National Color Therapy Month and the online Luminaries Color Conference are a natural extension of that mission. If you go to our website, there is a short article called “31 Ways to Celebrate National Color Therapy Month”, which gives people some fun ideas on how to observe the month. Like planning a color therapy party or changing the color of your toothbrush. It can be very simple yet effective at the same time. Initially, I thought of planning a one-day event. Then I did some research and discovered there are a National Occupational Therapy Month and a National Physical Therapy Month. So I thought, why not a National Color Therapy Month? I wanted to choose a month that was not already overpopulated with holidays. Many of us in the U.S. think of March as the time to celebrate St. Paddy’s Day, leprechauns and rainbows. Because of the rainbow association, March seemed the most ideal of all the months. How would you Define Color Therapy? 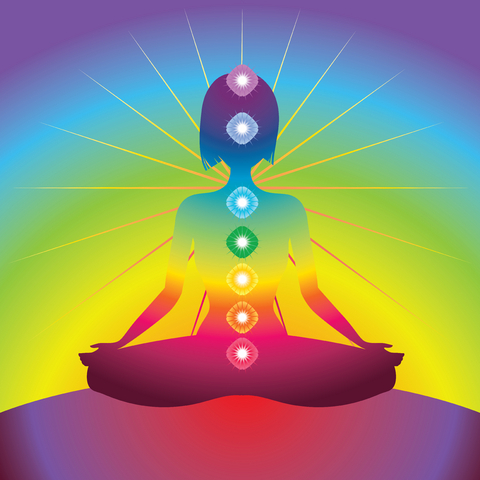 Color therapy is a powerful, complementary therapy that has been used since ancient times, whether it was for physical, emotional or mental healing purposes. It’s been said that Hippocrates understood the power of color—which is a vibration—and used color ointments on his patients. Today, color therapy may be as simple as wearing a particular color because you want to feel better about yourself, like wearing Red to have more energy or more courage or become more grounded. Personally, I work with color in many different ways. I use colored lights, color sprays, color therapy glasses, drinking water that’s been solarized in colored glass bottles, colored gemstones, colored tuning forks—even writing with color. For times when there are no color therapy tools at my disposal, I can always breathe color and still reap the amazing benefits. Just by using your mind and intentions, you can visualize the color you need, so there’s no reason to continue to feel anxious or depressed. Color heals and I think it’s one of the best natural medicines around. It’s a gift. What is the Most Popular Color Used in Color Therapy? I don’t think there is one most popular color, although Green is often used to begin a color therapy session. 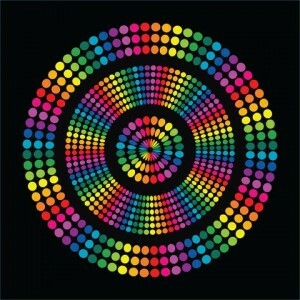 Color therapists use a variety of colors, depending upon the needs of their clients. Some will use the rainbow spectrum, others the complementary colors. I know some who work only with the colors Black, White, Gold and Silver. My personal favorite is the color Pink because it represents self-love which I feel we need to accept if we are to truly heal. What are the Demographics of People Who Participate in Color Therapy? Since color therapy is still relatively new to Western culture, it would be difficult to determine how many people are actively seeking color therapy treatment on a regular basis. However, many of us don’t realize that we’ve actually been practicing some form of color therapy our entire lives. We choose the colors we wear, the colors we eat, our furnishings and wall colors. And whether you’re selecting a color for your next car or toothbrush, all of your color choices are meant to make you (or someone else) feel better. 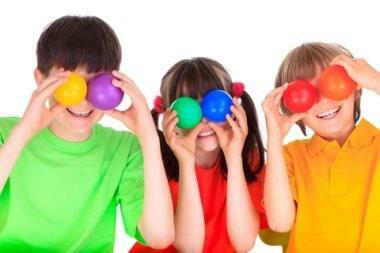 How Can Children Benefit from Color Therapy? In so many ways! Color is used to aid children who have emotional issues, learning disabilities, autism. My friend Diantha Harris created a line of color sprays to help children become more calm and joyful. And school psychologist Helen Irlen found that reading comprehension could be improved by using her special color overlays and filters. I’m so pleased to see teachers becoming more color savvy. I know one woman who insisted that her classroom be painted a bright Yellow so her students would be more confident and mentally alert. One of the workshops I offer is called Rainbow Makers. It’s a way for children who are angry or depressed to improve their lives by using the rainbow colors of Red, Orange, Yellow, Green, Blue, Indigo and Violet as their creative, healing muse. I’m hoping more parents will jump aboard the color therapy bandwagon. For instance, there’s a reason why your child is hyperactive and can’t sleep if their bedroom is painted a bright Red or Orange. Those colors scream “Action”, so bring on the passive pastels! How Can the Color of Your Clothes Affect Your Day-To-Day Life? Color is powerful–it sends a message. One of the best ways to show the world you mean business is to wear the color which best conveys “I-am-trustworthy Blue” or “I-am-passionate Red” or “I-am-so-imaginative Indigo”. Many years ago (before I knew anything about color therapy) if I was feeling sick or unhappy I’d wear something drab or Gray—something that declared to the world that “I’m not well, so don’t bother me.” But one of the many things I learned about color is that if you are feeling down and really do want to feel better, then wear the color that’s going to do the job, like Yellow for optimism or Orange for joy. You may not feel very positive at first, but it’s sort of like “fake it until you make it”. Eventually, the color will help dissolve those negative beliefs and you’ll feel more confident. What are Considered Positive Colors vs. Negative Colors? That’s an interesting question because while I might respond positively to the color Blue because it reminds me of a beautiful dress I once owned and the wonderful time I had wearing it, someone else may see that same shade of Blue and it will trigger a negative experience. So any color may be interpreted as a positive or negative color. It depends on your personal experiences. When I was growing up, I loved those old cowboy westerns and the guy in the Black hat was ALWAYS evil and the one wearing White was ALWAYS the law-abiding, pure-as-snow hero. But I understand why some people are negative about Black. It’s a mysterious color, the color of shadows and oftentimes represents a bad omen, something to beware because we don’t know what evil lurks in the darkness. But I also understand why some people are drawn to Black. It is a protective color, it makes you feel secure, like being in the womb. Could You Recommend Any Books, Blogs or Podcasts About Color Therapy? There are so many wonderful books about color therapy and I own about 40 of them! I began my collection with Lilian Verner-Bonds, Sue and Simon Lilly, Pauline Wills and Vicki Wall, who created the Aura-Soma color therapy system. Then I added books by Alijandra, Suzy Chiazzari and Diantha Harris. Some of the most informative websites I’ve seen are by Leatrice Eiseman, who is the prime consultant to Pantone and Kate Smith of Sensational Color. I’m also impressed by Valerie Logan-Clarke and Catherine “Calya” Avizinis, whose websites are filled with free color healing information. One of the reasons I created Color Healing Radio is because I found very few podcasts devoted to the healing power of color and I knew there was so much to be said! I’m so grateful to the many color pioneers who have appeared on these shows, like Alijandra, Darius Dinshah, Leatrice Eiseman and Helen Irlen. I’m also proud of my fellow radio show hosts, Diantha Harris and Arlene Arnold. Arlene has a new radio show called “The Power of Color”, which recently debuted on BlogTalkRadio, so I would definitely recommend her. Arlene wrote the book, “ColorCards” and created the “ColorCards” and “Luminaries” oracle decks. If You Could Re-Color One Thing In Your Life, What Would It Be and What Color Would You Make It? If I could re-color one thing, it would be those boring, Grayish rolls you have left after you’ve used all the paper towels or toilet paper. I would like to see something more colorful at the end of the roll, something surprising yet fun, like finding a colorful cookie fortune or a kaleidoscope prize in the Cracker Jack box. In its most negative form, the color Gray represents dullness, gloom, hopelessness, misery. So the message I get from the empty roll is “That’s it. Your Life is over. There is nothing left.” I’d much rather see something bright and multi-colored that sends out a positive message, like: “So what if you’re out of paper? Life is good—look at all the pretty colors!” Yes, you still have to go out and buy more paper, but at least there will always be pretty colors to look forward to–and you can feel glad about that! As an artist, color is my world. Being a retired Kindergarten teacher I found the use of color very helpful in teaching through the 5 senses.